Hello friends! This is Virginia Lu here! Thank you for joining me for my 3rd (and last) guest post today. You can see my previous guest post here and here. I hope that you check out “Sweet Christmas” Collection by Sharyn Sowell if you have not already. 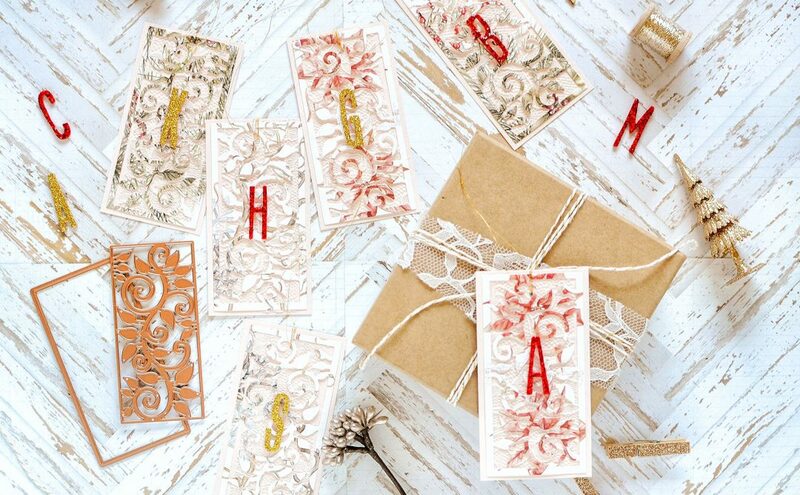 This Christmas collection evoke sweet and homespun feelings and is perfect for creating your own Christmas projects. 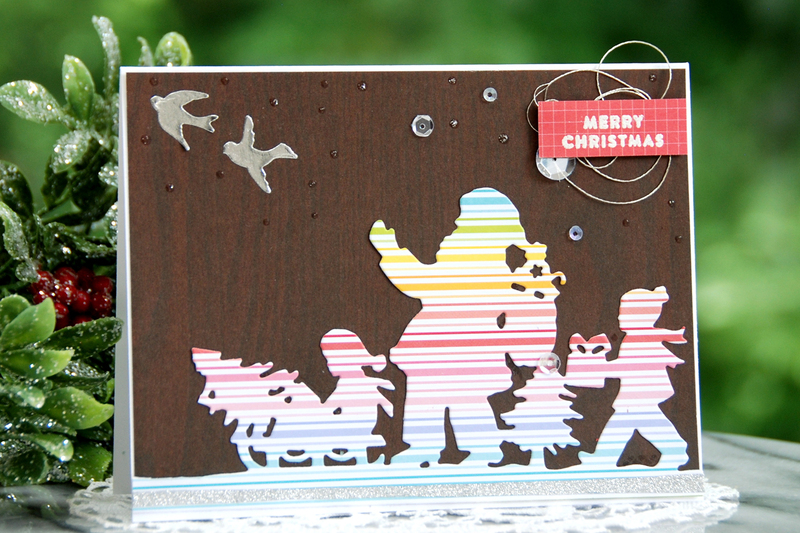 Today I am featuring this lovely die set called Santa Parade. Creating Christmas projects can be a bit daunting and time-consuming. 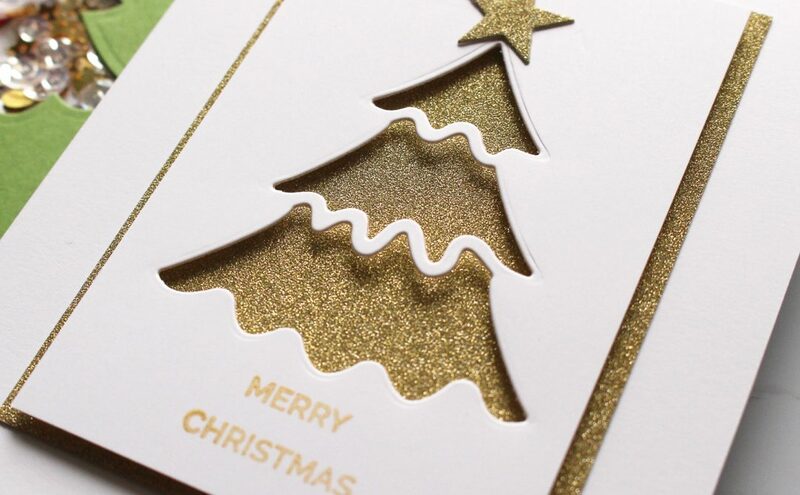 Pattern paper really come in handy when you want to put together a card in a jiffy. 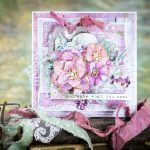 I hope today’s post inspires you to look through your paper stash and get these Spellbinders dies to work! The following are my simple instructions and tips. Use a mix of pattern paper: I chose a dark chocolate card stock, rainbow strip pattern paper and silver paper. 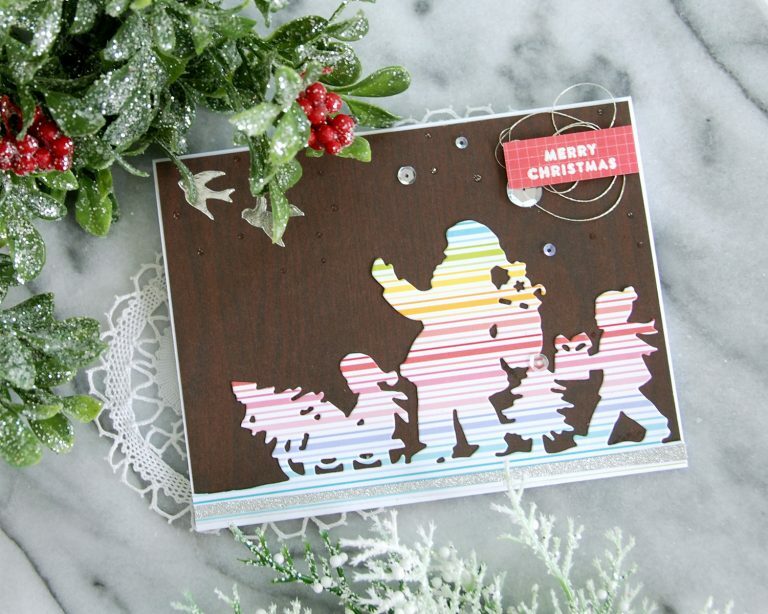 Rainbow paper: the images of Santa Parade are perfect with the rainbow paper. I simply ran the die through the Platinum 6 Die Cut machine. 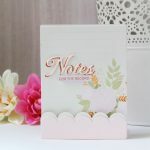 Add details: apply Glossy Accent for the dotty details and add silver doves to the background. 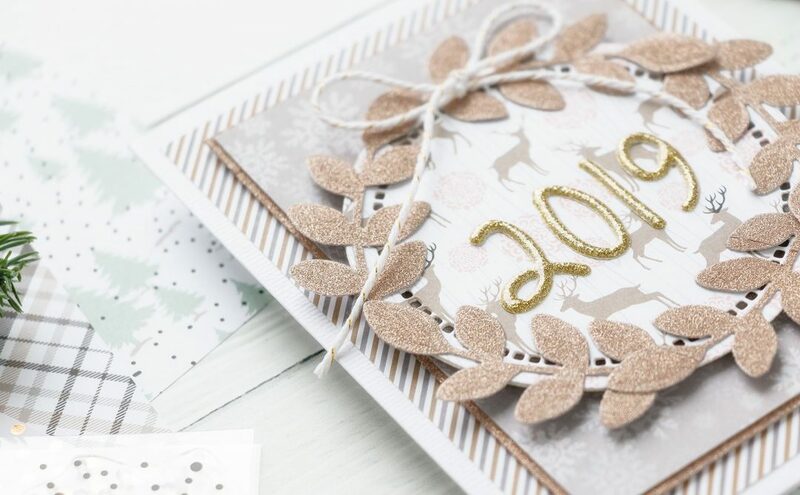 Pop up the white-embossed sentiment with foam tape and add silver strings. It has been such a delight to share my work with you here. 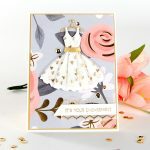 Thank you, Spellbinders, for making our die-cutting designs SING! I appreciate your stopping by! Glossy Accent (Ranger); Christmas Squad (sentiment) by Simon Says Stamp; Pure White Embossing Powder (Altenew); Assorted pattern paper; DCWV 6×6 Metallics Glitter and Foil Washi Stack; silver sequins; Neenah Card Stock; DMC Silver Strings. How fun! Love that the silhouette is in color pattern instead solid! 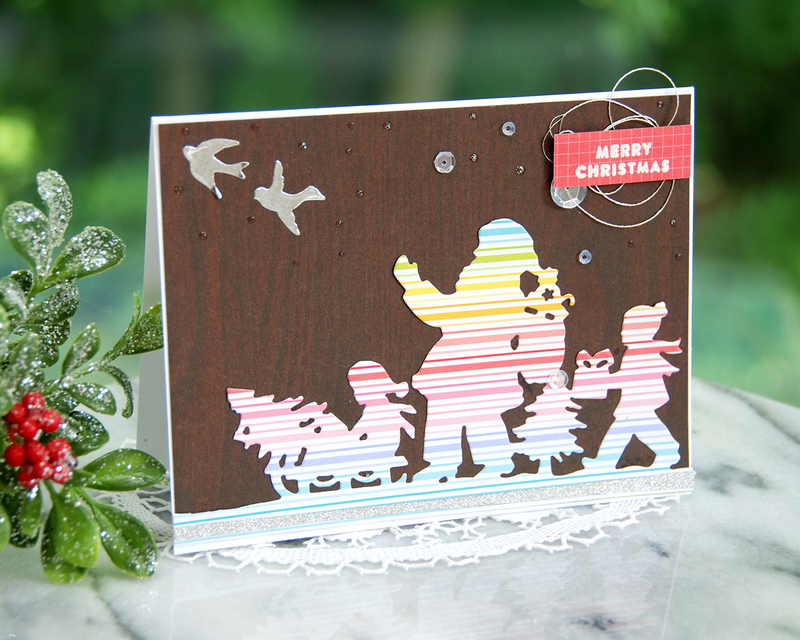 Such a fun look with the striped paper! I love it!